People are constantly looking for ways to save money and have fun at the same time. One great way to do this is to create hobbies that will save you money in the long run. Growing herbs in your home can be a great activity that can be rewarding while saving you money at the same time. Obviously, growing plants and herbs in your home will require some space and require you to expand your garden as the plants grow and get bigger. This may be difficult, especially if you are not sure how to transplant nursery plants into the ground or into larger containers. There are several tips that you should focus on when you are trying to transplant your plants into a different location. The first thing that you will want to take into consideration is when you should transplant your plants. If you’re planting in the ground and you live in an area where all of the seasons are present, you will want to transplant your plants in the early to mid spring, after the soil has thawed and softened. If the early spring is not an option, the next best time is during the late fall. By doing the transplant at this time, you will be able to avoid shocking the plant and have a much higher success rate. Transplanting in containers can be done year around indoors or outdoors in areas of mild climate, and indoors in areas of harsh climate. The next thing that you will need to consider is the time it will take you to transplant your plant. 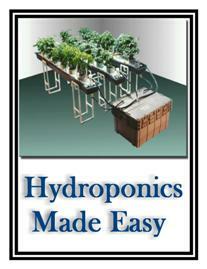 With small plants, this will be much easier but larger plants will be more of a challenge. The roots of a plant are very sensitive and can be damaged easily. The shorter amount of time that the roots are exposed means a lower chance for shocking the plant. This will keep the plant healthy so it will continue to produce and live healthily. Keep in mind that it’s always best to transplant outdoors in cloudy weather toward the evening rather than when it’s sunny and in the morning. When transplanting, gently remove the plant from the original container. If the roots have begun growing up the side, gently loosen the soil with your fingers, making sure the soil stays in contact with the roots and that the roots are exposed to the air for as minimal amount of time as possible, then place in the new container so they will grow properly. Add enough soil to completely cover the roots and water immediately. Mixing in some vitamin B1 plant starter will also help reduce shock to the plant. You may need to get several different tools before you start the transplant of your nursery plants. The place is the most important thing that you need to consider. Make sure that you have a place in your garden or a pot large enough to place your plant. You will also need a spade or shovel, depending on the size of the plant, pruners, and something to transport the plant. Once you get the plant into its new home, you will want to ensure that the soil is healthy and can sustain life. This means a good supply of water and nutrients. You may want to get fertilizer in the soil so the plant will have nutrients right away. There are many more tips that are available on the Internet for people who are looking to transplant their plants and herbs.